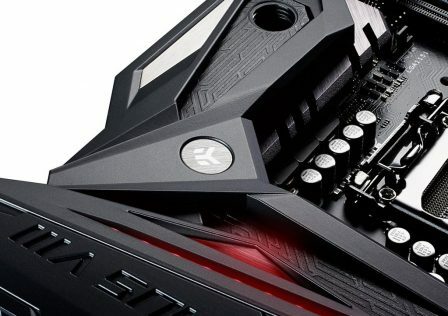 The latest series of AIO (All In One) Liquid coolers from ASUS has just been released, dubbed the ROG Ryuo. 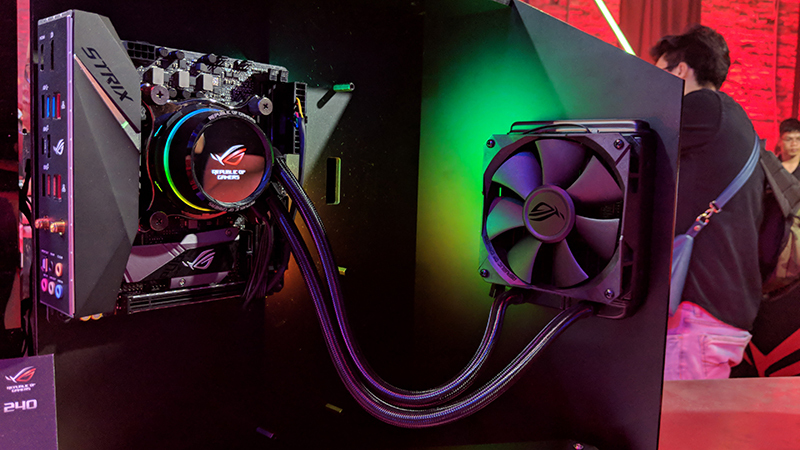 This cooler was recently revealed during the Computex 2018 event where both the Ryuo and Ryujin series liquid coolers were on display. 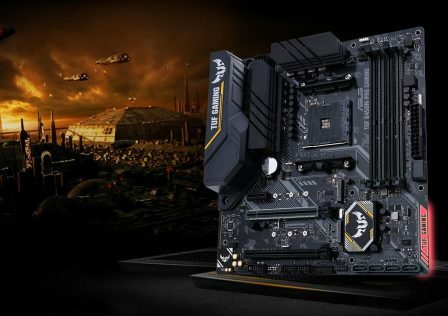 Republic of Gamers (ROG) is ASUS’s premium brand of gaming themed hardware. 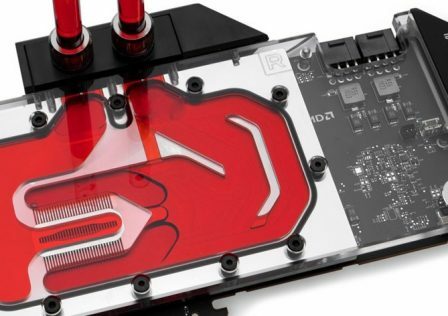 As of today, Pre-order for the new lineup of liquid coolers finally begins. 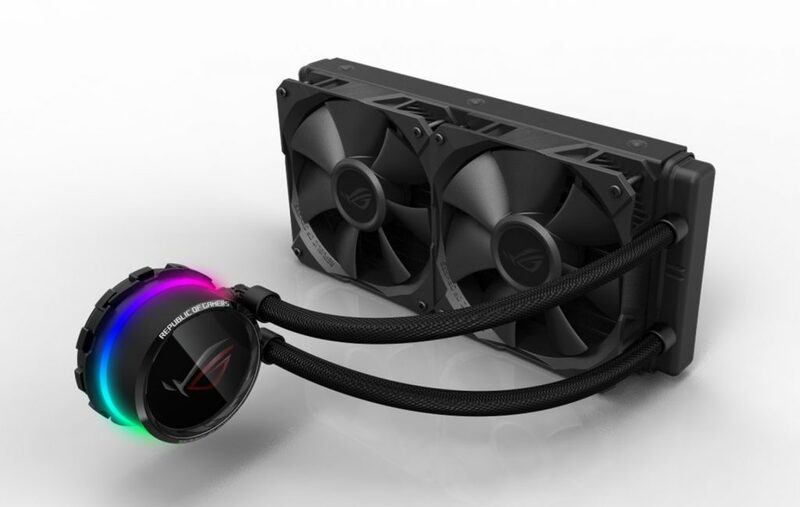 The ASUS ROG Ryou liquid cooler comes equipped in both 120mm and 240mm radiator configurations. The radiator fans are based on ASUS’s Wing-Blade design, which is shared by ROG graphics cards and our new Thor PSU. 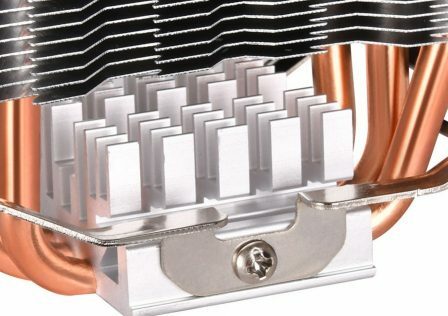 The shape is optimized for high airflow, generating 81 CFM at 2,500 RPM. That’s more flow than what the fans on typical air coolers produce at same 37.6-dB(A) noise level. The pump housing is cylindrical and much smaller than the Ryujin and is constructed of an aluminum shell providing a more conventional look. 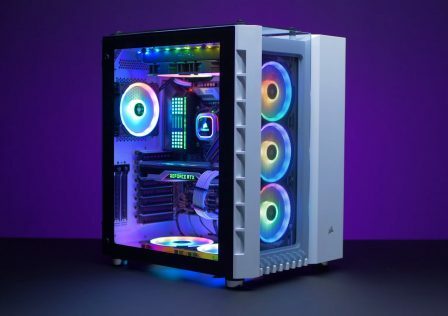 LED lighting is another feature embedded in the pump housing of the Ryou and is illuminated by nine addressable LEDs which can be controlled by ASUS’s Aura Sync software. The top of the pump has an embedded 1.7″OLED display which allows users to show custom images, system information such as temperatures. CPU and motherboard support provided by the ROG Ryou is pretty decent, going back almost 10 years. 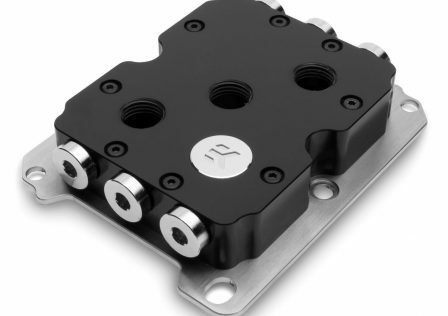 These include support fro the LGA 2066, LGA 2011 v3, LGA 1366, LGA 1366, LGA 1155, LGA 1151, AM4, and TR4 sockets. 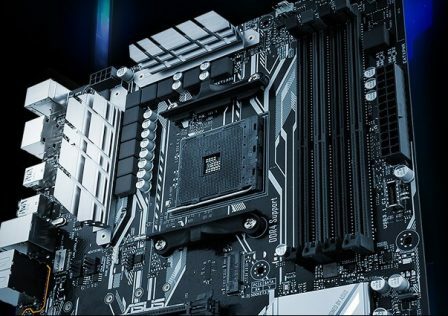 Pricing for the ASUS ROG Ryuo is $149.99 USD for the 120mm edition, and $179.99 for the 240mm edition.